I was so inspired by solo backpackers I encountered during my to Banaue last April. Even though I’ve been travel blogging for a while, I haven’t actually done a whole backpacking trip by myself since all of my previous travels had involved being with friends or family members but I’ve always anticipated eventually doing a lot of solo travels because of my lifestyle. I mean, there are so many places in the Philippines that I have not visited yet and promised myself to visit within the next few years and I don’t expect to always have a travel buddy around for every trip at the date that I want. Being in close encounters with a couple of solo backpackers in Banaue and had given me a better sense of the solo backpacking lifestyle and made me very curious about how it feels like and the possibility of doing it myself. So after a month of planning, I’ve set myself to do a solo trip to Palawan. Aside from being a solo backpacking trip, I decided to do it on “shoe string” budget. Previously, I had always made itinerary and budget plans with super safe expenses estimates. This time, I’ll make sure to pursue the cheapest places to stay, transportation options, food, etc… Again, this is inspired by backpackers I encountered in Banaue. We saw this female solo backpacker walk a 45-minute jeepney ride from Batad Village to Banaue Town Proper. We were riding a chartered jeepney at the time and the driver offered her a P150 jeepney fare, which is how much a regular passenger fare costs. She declined the offer and persisted on walking the whole way (on a hot sunny day along the winding mountainside). I was surprised at her decision, was a bit impressed, and wanted to try doing something like that myself. I’m actually leaving tomorrow and will be back home after almost two weeks. My journey will start in my hometown, Iloilo City, where I’ll be riding a RoRo ferry to Puerto Princesa, Palawan. The ferry to Puerto Princesa has a stopover in Cuyo Island, so it’ll give me a few hours to visit a few of the attractions there. Taking the stopover into account, it takes approx. 36 hours to get to Puerto Princesa from Iloilo City. After arriving in Puerto Princesa, I’ll be heading strait to El Nido, the northernmost town in mainland Palawan, via a 10 hour bus ride. 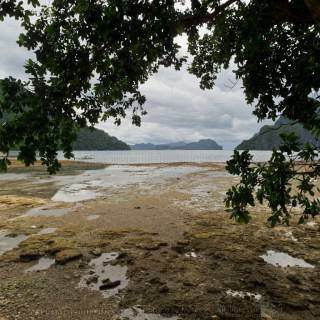 I’ll be staying there for a few nights to do some exciting island hopping tours of Bacuit Bay. After Sabang, I’ll be spending a few nights in Puerto Princesa to tour the city extensively. 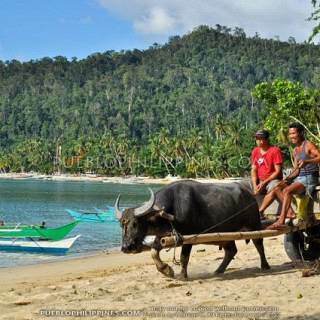 Hopefully, I’ll also get to visit Honda Bay if I have enough time. The last leg of the journey will be the final 36-hour ferry ride back to Iloilo including another stopover in Cuyo. Good luck on your first solo trip. Bus ride from Puerto to El Nido will only take 8hrs to 9hrs max. and it’s worth the long trip. :) Have fun. 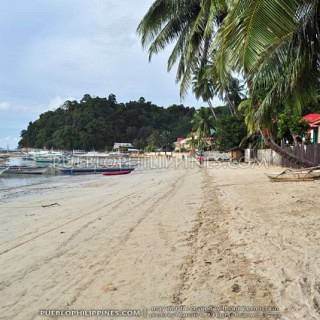 The cheapest accommodation in El Nido is at Marina Gardens, that’s a beachfront resort in El Nido main island. 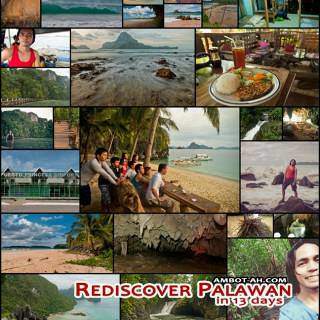 Looking forward to reading your account on this Palawan trip (especially Cuyo and Port Barton). thanks :) I’ve already noted Marina Gardens. Hope they’re not fully booked when I arrive. wow! finally frnd! i’m so proud of you! na-inspire ka ata ke Derek sa Batad ha! 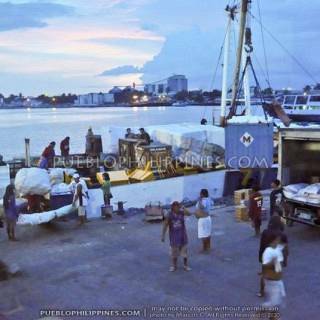 I’d love to take the ferry or roro nxt time too, parang si Flip! :D just be safe but enjoy each moment, relish nature and take more photos! Godspeed! Only a little bit with Derek, he’s kinda like a travel guidebook drone. Wish him all the best with his trips: Puerto Galera (Sabang), Donsol (Butanding), hehe. I wished he has also took our (the locals) advice. 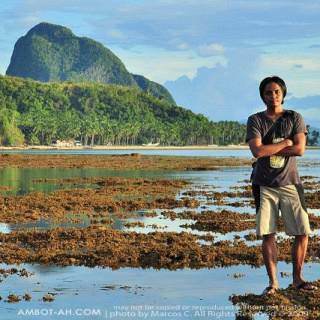 Syempre, I should owe it to you din for inspiring me and for the informative posts about El Nido. cge, happy backpacking Marcus! :) i’ll be watching out for your post, for sure that’s very helpful, as always. wahhh! i’m envious! 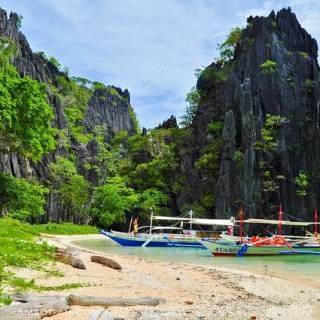 i hope to backpack the entire island of Palawan in the future too. I’ll post the Batad pix soon, i’m too lazy. haha I’m off to Bohol last weekend of June. Lol. That’s why I’ve never traveled with a guidebook before since the internet has already a lot of info needed. Cool nmn Bohol, I’m still hoping to visit it this year. Maybe in September … I’m still not sure to visit Bohol or Southern Cebu. napadaan. may trip kasi ako sa palawan on september. may mga kasama dapat pero hindi na tutuloy ang mga kasama ko pero dahil sayang ang 1500 na binayad ko sa PAL eh tutuloy ko na lang. yun nga lang mag-isa. looking forward sa post mo after the trip. yes, will be posting more about the places I’ve visited soon. whoa! parang pang-billboard ad yung first photo ;p i miss backpacking solo! 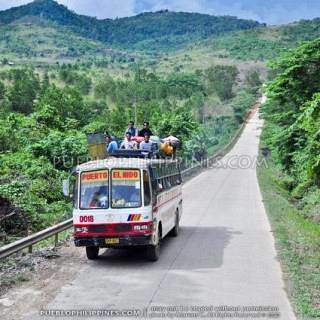 hi… ur nice… lov ur lyf… anyways.. try here in bukidnon.. many beautiful spots and im sure u would really enjoy here.. ! tc! thanks chyryl. Would love to go to Bukidnon in the future.